Bill Murphy of the Gold Anti-Trust Action Committee explains his organization’s mission and why he believes investors should not lose faith in gold. Bill Murphy has spent nearly two decades working to expose gold market manipulation as chairman and director of the Gold Anti-Trust Action Committee (GATA), but he believes there’s still much to be done. Even so, he thinks it’s worth it for investors to stay in the market. “When people understand [the big picture], it’s a reason to stay in the game because it’s going to be spectacular down the road,” he said. Watch the interview above for more insight from Murphy on gold market manipulation. You can also view the transcript below. INN: For those who aren’t familiar with GATA, can you start by telling me a little about what you do and your role there? BM: GATA was formed by myself and Chris Powell, who’s a speaker here, in 1999 to expose the manipulation of the gold market. Initially, we thought it was just the bullion banks, and then we realized that it was much bigger than that, and included the Fed, the Treasury, the Exchange Stabilization Fund, other central banks, [the] Bank for International Settlements. We have been working for nearly two decades to expose what’s going on and hopefully end it someday. INN: What progress have you made during that time? What have you uncovered? BM: We’ve uncovered how rigged the gold and silver markets are. People continue to … not deal with it because we’re taking on the richest and most powerful people in the world. This is what they do. Yesterday [Chris] presented some of the evidence that we have — it’s all there — of banks admitting they do this. There’s been all kinds of lawsuits about the bullion banks and silver and gold, accusing them of manipulation. It’s all there for people that want to see it. It’s very unfair what’s going on, and eventually it’s going to cause some big problems down the road. INN: What is the general sentiment from investors? Are they receptive to this? How do they feel? BM: It’s interesting, it’s a very good question. The mainstream people just don’t want to hear about it because as I mentioned, we’re taking on the rich and powerful. The people just don’t want to go against it — they don’t want to deal with it, they don’t want to hear about it. But it’s a fact. I liken it to what happened in the recent Harvey Weinstein scandal with all these women over decades [who] were abused. It was a terrible scene, but people didn’t want to expose it because of the rich and powerful. That’s what we’ve been running up against all this time. INN: Today what’s the biggest issue in market manipulation? What’s the biggest concern? BM: The biggest concern is that they’re there all the time, and that’s the reason gold and silver are just at pitifully low prices — what I call artificially low prices. And yet we’ve had all this quantitative easing, low interest rates, deficits — every reason for them to go higher. The gold cartel, as I call it, has forced the price down. I mean, look at gold compared to bitcoin. Earlier this year, they were both the same price at $1,240. Bitcoin isn’t suppressed, manipulated — look what it has done. Other assets — art, real estate, the Dow. Gold and silver? It doesn’t make any sense, especially silver, because supposedly if the economy is going so good it should benefit sooner. But that’s done worse than gold. INN: That leads into my next question. You focus on gold, but what about other markets? Is [manipulation] everywhere? BM: Silver is as rigged as gold is. I don’t want to bore people, but the open interest on the COMEX is at all-time highs outside of last year, which means the shorts are selling — that’s JPMorgan (NYSE:JPM). They’ve just got this thing on total lockdown, they won’t let it go no matter what. But we have learned over the years that it’s not just the gold and silver markets, we pretty much acknowledge the bond market is rigged. [Manipulators are] also involved in the stock market — there’s a thing called the Plunge Protection Team, the Counterparty Risk Management Policy Group, and they have made sure since the Trump election that the stock market — it won’t even correct. INN: For investors, why they should keep investing in gold and silver? BM: That’s another great question, because right now they’re awful. The only thing I can say is that knowing what GATA knows about the price suppression scheme and as a result, artificially low prices, that’s the reason to be in the game because this will blow up one day. It’s bad. It’s getting worse relative to other assets … unfortunately, right now people are giving up because they can’t take it anymore. They look at what other assets are doing and they say, “what am I doing?” This is a six- and seven-year bear market now … while other assets have done the opposite. It’s taking its toll, and it’s very unfortunate. My role as GATA chairman, running LeMetropoleCafe.com, my website, is to keep people in the game understanding the big picture. Because at least if you know why it’s happening and that it’s been put in this mode by the gold cartel, you have a reason to stay in the game. INN: Final question. If you’re an investor and you’re concerned about this and want to do something, what should you be doing? BM: As an investor, the most important thing is to pay attention to it. You can go to GATA.org, [and] my colleague Chris Powell has a great site, you can get information there. [Investors] can sign up for a two-week free trial on my website — I get into it every day, because in my opinion nothing else matters. All this stuff that these great speakers here talk about in terms of gold and silver doesn’t mean a thing, hasn’t meant anything for years because the gold cartel is out there punishing the prices. At least … when people understand this as I just mentioned, it’s a reason to stay in the game because it’s going to be spectacular down the road. The timing of it, obviously nobody knows. 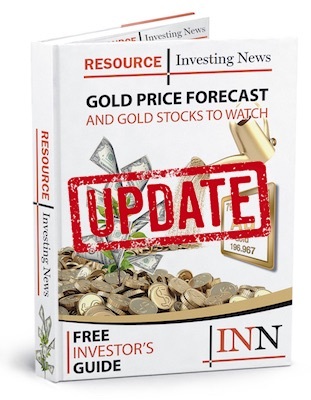 INN: How high could gold potentially go? BM: First of all, in my opinion, if silver breaks $21 it’s going to go berserk and trade like bitcoin. That’s a really key level. I think the gold cartel crowd will lose control of the market. There’s no reason for gold in the not-too-distant future to take out its all-time high of above $1,920 or so. It’s my opinion, but [I think] we won’t have a gradual move anymore in gold and silver. When it goes this time, it’s going to be explosive and go very fast.